Danish customers can now enjoy NetEnt’s Live Casino services after the provider launched its full portfolio of live table games in Denmark. This is the provider’s first entry into the Danish market with its Live Casino products – featuring a large range of network tables such as Live Roulette, Standard Blackjack and Common Draw Blackjack. The games will be accessible through popular online casino Mr Green, which is well liked by players in the Scandinavian country. “We are proud to have launched our games in the Danish market and Mr Green is the perfect partner to do it with. 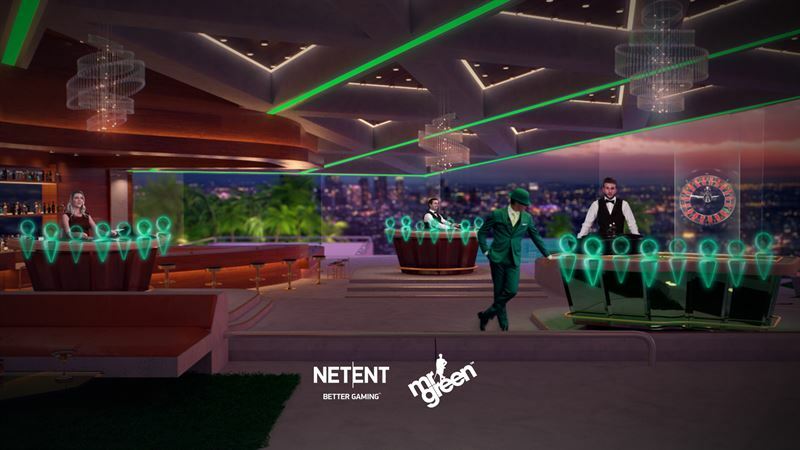 Mr Green has a strong presence in Denmark and I’m certain that their players will enjoy our games and the features they bring”, said Henrik Fagerlund, MD NetEnt Malta Ltd.
Mr Green will also offer NetEnt’s Live Beyond Live games, a tailor made, fully customisable multi table casino environment from NetEnt. This gives players a virtual casino lobby to explore – with live dealers and a choice of different tables to join. Antoine Bonello, Chief Operating Officer for Mr Green Ltd. added: “Live Beyond Live has given us the opportunity to provide our customers with a unique live casino experience that is a cut above the rest. “We have seen great traction in the markets where Live Beyond Live is being offered and it’s a natural step to extend this to the Danish Market. This isn’t Netent Live’s only major milestone in 2018. At ICE 2018, NetEnt unveiled its exciting Exclusive Virtual Casino (EVC) product, that allows players’ favourite casinos to launch their own tailormade and branded virtual multi table live casinos. Both Mr Green and Unibet has since launched their own EVCs, and more are on their way.